The subscription could launch later this year in an updated version of the Apple News app, according to the report. Last month, Apple bought Texture, a magazine subscription service that cost $9.99 per month. Most of the Texture staff will be integrated into the Apple News team, according to Bloomberg. Compared to 1976's Apple I, the Apple II was a revelation. While the first Apple lacked a monitor, separate keyboard or casing, the Apple II included the whole package, complete with the introduction of five-color on-screen graphics. Adjusted for inflation, you could buy a used car for what the Apple II costs, but its price tag had brought the budding company $7.8 million in sales by 1978 — about $30 million in today's money. This is when the world started calling Apples "Macs." Developed while legendary Apple co-founder and former CEO Steve Jobs was away from the company, and famously derided by him, the tablet-like touchscreen Newton paved the way for the success of the PDA, and later, the iPad. This small, hand-held product didn't catch on at the time, but it played a role in inspiring today's "all-in-one" device design, and even featured ahead-of-its-time handwriting recognition capabilities. While the original Power Macintosh — which was sold as the Macintosh Performa 6110CD for home use — sported a 60 MHz PowerPC 601 processor, the Pro rocks a 3.5GHz, 6-core Intel Xeon E5 processor and its 8 MB of RAM are dwarfed by the Mac Pro's 16 GB of RAM. The introduction of the iMac in 1998 marked the first time Apple used its much-imitated "i" branding. At the time, the "i" in "iMac" stood for "internet," as the all-in-one desktop computer featured a built-in modem, which was uncommon when it launched. The first model came in a blue-green hue, called "bondi blue and ice" by Apple, but it later was available in a rainbow of colors. It marked the first major Apple work by iconic designer Jony Ive. The iMac line looks a lot different — and less colorful — today, but it's still kicking, with 21.5-inch models starting at $1,099. With so much focus on slick hardware, it's easy to overlook the fact that Apple is a software company, too — unless you're a filmmaker who just dropped $300 on Final Cut Pro, that is. The pitch remains the same today as it was in 1999: For one price, you get editing, compositing and effects in one professional software package. Apple positioned Final Cut as a "post-production studio in a box," though the philosophy changed a bit as numerous software expansions continued to add features. The Power Mac G4 Cube's beautiful design couldn't offset the high price tag, which, consequently, led to its marketplace struggles. By 2001, its entry-level price had been slashed to $1,299. The cube-shaped brains of the box live today in the form of the Mac Mini series, however. Though the Mini doesn't include a monitor, keyboard or speakers like the G4 Cube, it starts at a much more reasonable $499. From 2001 to 2011, Apple sold 300 million iPods. Though the idea of a dedicated MP3 player seems outdated today, the at-the-time appeal of carrying 1,000 songs on the original, scroll-wheel-equipped model's 5 GB hard drive cannot be overstated. Starting a legacy that still thrives, the original 13-inch MacBook laptop was powered by a 1.83 GHz Intel "Core Duo" processor and featured a 13-inch widescreen display, complete with modern perks, such as a built-in iSight camera, USB ports and Bluetooth compatibility. Nowadays, an entry-level MacBook starts at a fairly comparable $1,299. Before you can sell a billion, you've got to start with one. The iPhone might not have been the first all-in-one hand-held device, but its mainstream appeal and standard feature set established the baseline for the modern smartphone. If your current device has WiFi support, Bluetooth, a camera, glass screen, accelerometer and multi-touch, you probably can thank the iPhone. Microsoft introduced the tablet format in 2000, but it was Apple that finally got the tablet to catch on in 2010. Even Microsoft co-founder Bill Gates acknowledges that Apple "did some things better than I did," noting that Apple nailed it in terms of "timing," "engineering work" and "just the package that was put together." Perhaps due to this ubiquity, you still can get a 4.7-inch iPhone 6s, the phone's more advanced update, straight from Apple for $449. Buoyed by crazy hype and endless rumors, Apple premiered the iPhone X in 2017, using its curved Super Retina screen and facial recognition features to test the waters of a high-priced, premium smartphone market. With reports suggesting that Apple aims to halve iPhone X output in the first quarter of 2018 because of weak holiday sales, the gambit might not have paid off. But with a quarterly revenue of $88.3 billion in the fiscal quarter ending on Dec. 30, 2017, the giants from Cupertino, Calif., probably aren't sweating too much. 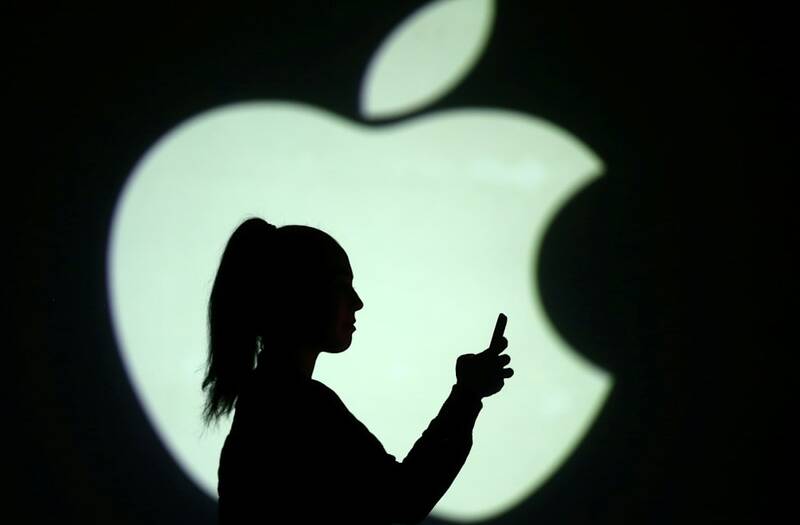 Apple News currently offers the ability to sell advertisements to participating publishers, but given Apple's personal privacy policies, a subscription service may be a better fit for the iPhone company. Apple plans to share subscription revenue with publishers, according to the report. Currently, Apple sells a $9.99 all-you-can-stream subscription under Apple Music. Apple News and Apple Music are part of Apple's services division, which CEO Tim Cook has highlighted in recent years as one of the strongest growth categories for the company. The line item, which includes iCloud, Apple Music, and App Store revenue, posted $30 billion in sales for 2017.